The Dunlop Pro Tour tennis balls have been designed for playing on every level and every surface. Needle felt and featuring the HD Core, the tennis balls are durable and playable; heavy duty rubber compound has been introduced for increased pressure resistance. 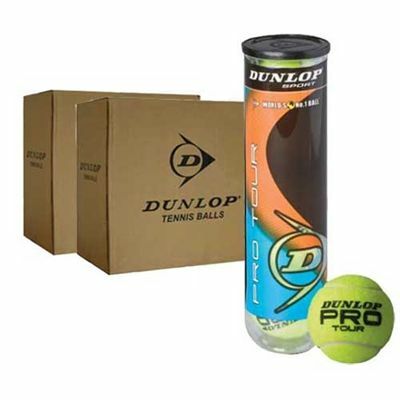 for submitting product review about Dunlop Pro Tour Tennis Ball - 12 Dozen.